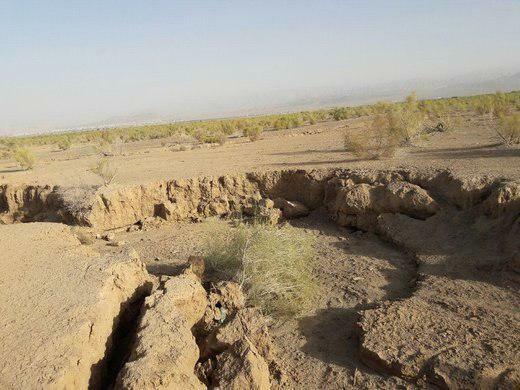 A group of Iranian and German scientists has started the second phase of its joint research into Varamin Plain in southern Tehran with the main goal of understanding the area’s climate in prehistoric eras. Morteza Hessari, the head of the joint research group in the second phase of the study, said understanding the region’s climate in prehistoric eras is highly significant for understanding the turning points in history of the plain. “Without in-depth research into the weather of the ancient era, it’s impossible to recognize and analyze most of the historic events,” he noted. According to Hessari, the research is part of a larger scientific project aimed at taking samples from the sediments of Varamin Plain. “To this end, a delegation made up of archaeologists from Iran and their counterparts from University of Berlin has been dispatched to the area with the aim of understanding its weather during ancient times,” he noted. Hessari said knowing about the region’s weather in prehistoric eras is one of the main archaeological challenges of the plain. He then expressed hope that with such projects, the scientists would be able to find some convincing responses to major questions like why people abandoned the areas during the ancient times. Varamin is the capital of Varamin County in Tehran Province, Iran.